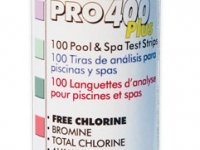 Measures Free Chlorine 0 to 10 ppm, Bromine 0 to 20 ppm, Total Chlorine 0 to 10 ppm, Alkalinity 0 to 240 ppm and pH 6.2 to 8.4. Measures Cyanuric Acid 0 to 250 ppm, Free Chlorine 0 to 10 ppm, Total Chlorine 0 to 10 ppm, Bromine 0 to 20 ppm, Alkalinity 0 to 240 ppm and pH 6.2 to 8.4 and Total Hardness 50 to 800 ppm. 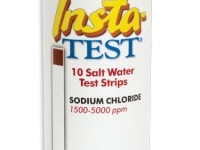 Measures Salt from 1500, 2000, 2500, 3000, 3500, 4000, 5000 ppm. 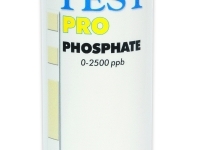 Measures Phosphates from 0, 100, 200, 300, 500, 1000 and 2500 ppb. 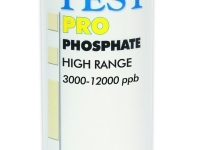 Measures Phosphates from 3000 and 6000 and 12000 ppb. 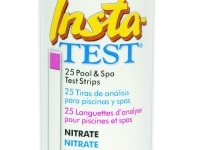 Measures Nitrates from 0, 10, 30, 60 120 and 200 ppm.